This came across the newswire over the weekend, and we thought it was certainly worth sharing…. 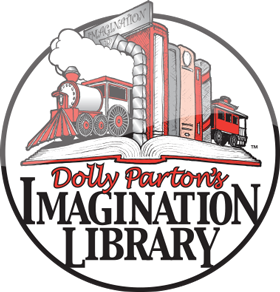 Dolly Parton, one of the most-honored female country performers of all time, founded Imagination Library in 1995. Last week, the Imagination Library donated its 100 millionth book. The Library of Congress celebrated by inviting Ms. Parton, a longtime literacy advocate, to host a special guest storytime. What began as a mission to deliver books to children in her home county in Tennessee has grown into a global mission that has garnered The Good Housekeeping Seal of Approval, the Best Practices Award from the Library of Congress Literacy Awards, and recognition in Reading Psychology. According to the National Children’s Book and Literacy Alliance, books create warm emotional bonds between adults and kids when they read books together; help kids develop basic language skills and profoundly expand their vocabularies; develop critical thinking skills; develop and nourish kids’ imaginations, expanding their worlds; and much more. In short, books are very important for a child’s growth and development. Born the fourth of a dozen children, Ms. Parton grew up in the Great Smoky Mountains of Tennessee. She is one of only a handful of individuals to receive nominations from the four major American entertainment awards: EMMY, Grammy, Oscar, and Tony. It’s rare to come across an individual whose achievements are too numerous to list, but such is the case with Dolly Parton. While we’re usually loathe to use Wikipedia as an official source, if you want to learn more about Dolly Parton, you may just want to wander over to her Wikipedia page and poke around for a few hours. Interested in starting your own Imagination Library program? Reach out to one of Imagination Library’s regional directors here. Books are chosen by a Blue Ribbon Selection Committee of early childhood literacy experts. All books chosen are published by Random House, so, if you’re a Random House author, your book is already under review! If not, Imagination Library does not, unfortunately, take unsolicited submissions. This was written by charles. Posted on Tuesday, March 6, 2018, at 10:19 am. Filed under Uncategorized. Tagged books, dolly parton, imagination library, literacy, reading. Bookmark the permalink. Follow comments here with the RSS feed. Both comments and trackbacks are currently closed.